Charles Thomas WOOLGAR was baptised on 21 May 1837 at Horsted Keynes and was the second child of Henry WOOLGER and his wife Anne HAVELOCK. 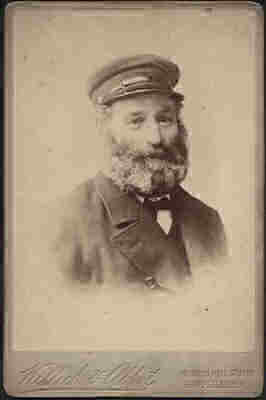 Charles was a Merchant Seaman and later owned Bathing Machines which he operated from Hove beach, near Brighton. He married twice. His first wife was Harriet STURT and the marriage was celebrated on 21 November 1860 at St. Nicholas, Brighton. They had eight children, all born between 1861 and 1880. After Harriet’s death in 1913, Charles then married Rebecca Caroline Sarah Ann HAMMOND on 27 December 1917 at All Saints, Hove. Charles died on 11 March 1823 in Bloomsbury, London.